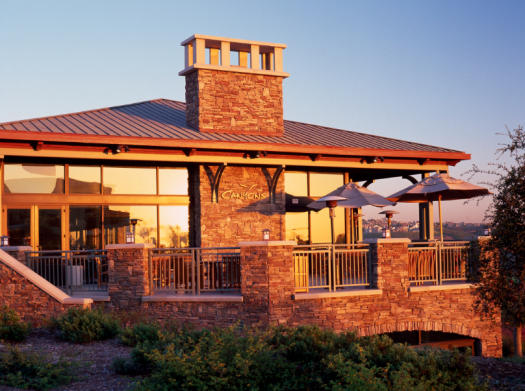 Come enjoy the views…and experience golf at The Crossings at Carlsbad! With the beautiful Pacific Ocean to the west and foothills rising to the east, this 18-hole championship municipal golf course and event facility offers visitors a magnificent setting in a relaxed California Coastal environment. 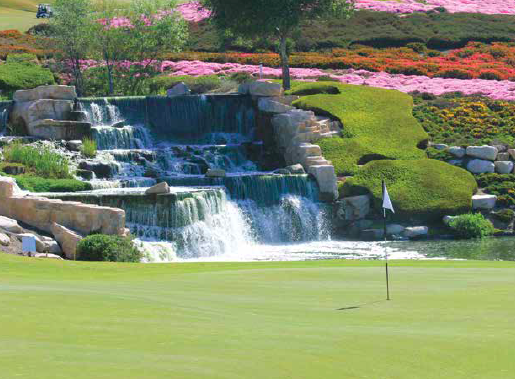 The Crossings at Carlsbad is an 18-hole championship golf course located in San Diego, designed by Greg Nash, a nationally recognized course designer/architect. 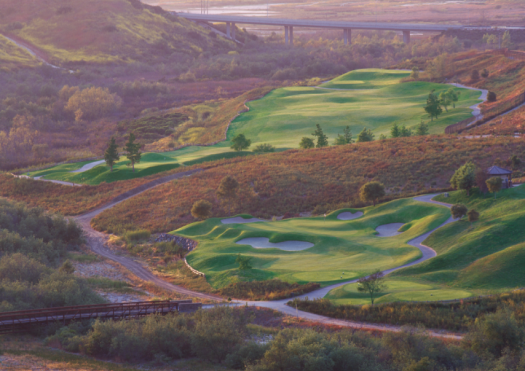 The Crossings at Carlsbad is named for the five bridges - or crossings - that were designed into the layout to meet existing environmental and topographic conditions. 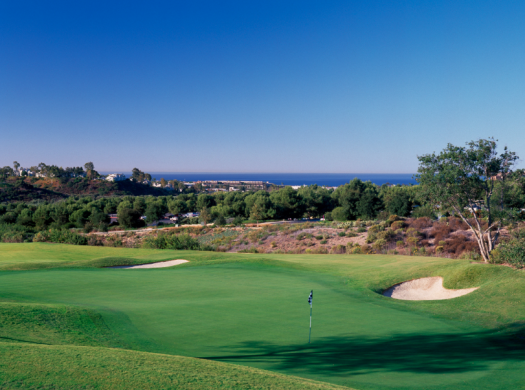 The course is nestled among natural habitat and wildlife on more than 400 acres of Carlsbad’s coastal terrain. The Crossings also offers a 28,000-square-foot clubhouse complete with a golf shop, banquet facilities, a spacious fireplace-lit dining room, full-service kitchen and an outdoor patio with ocean views. Adjacent to The Crossings at Carlsbad golf course is the Sheraton Carlsbad Resort & Spa, a refreshing resort with beautiful contemporary Mediterranean architecture, rolling lawns, flowering shrubs and nearby pristine beaches. 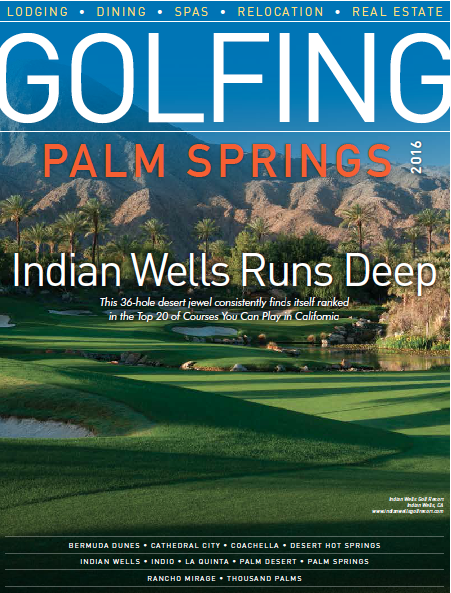 This Starwood resort is a golf lover’s dream come true and offers a beautiful setting sure to inspire guests of every kind. 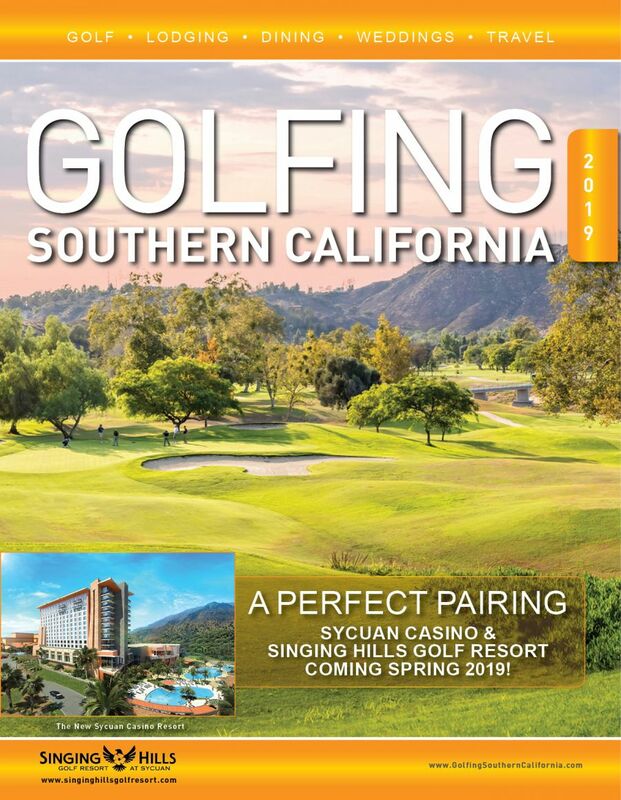 Whether you are planning an afternoon golf outing or dreaming of a weeklong golf tour of San Diego’s best courses, this Southern California area resort is your starting point in accessing the area’s best golf experiences. Not only is the Sheraton Carlsbad Resort & Spa conveniently located, you’ll find the 24-hour gym always available for stretching your muscles and getting gameready while a massage from the Ocean Pearl Spa is ideal for relaxing after a round of 18-holes. Plus, you can refuel at TWENTY/20, the signature restaurant, complete with live music and refreshing coastal- inspired cuisine that’s the perfect mix of casual and elegant with spectacular sunset views. Speak with our representative about the Stay & Play Golf Package for one or two players or coordinating trips for golf groups and tournaments. With plenty of family friendly activities nearby and an abundance of local breweries for unwinding after the course, Sheraton Carlsbad Resort & Spa is more than just a golfer’s paradise – it is an all around vacation destination that just so happens to be perfect for golf lovers too. Let us fill you in on the best Carlsbad has to offer and make your vacation one to remember.